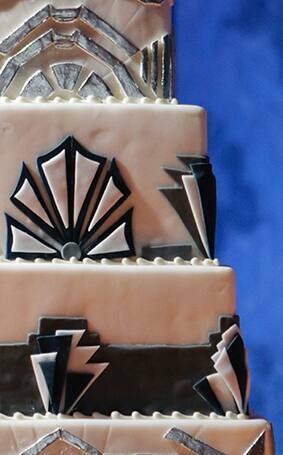 Dance away the winter blues this Wedding Cake Wednesday with an art deco inspired wedding cake that is sure to get you toasting to the good life. 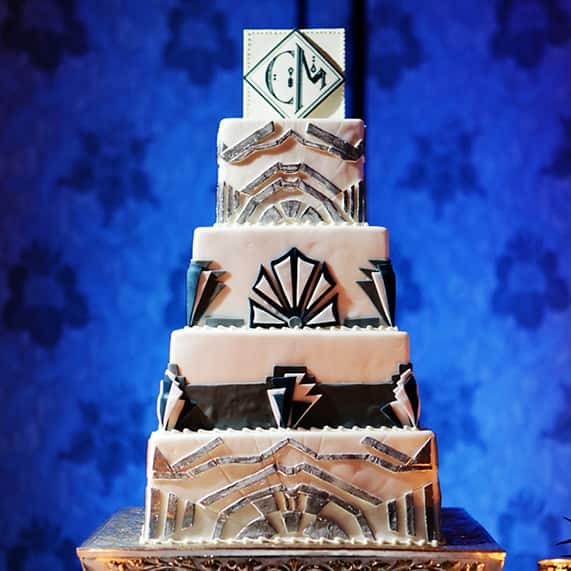 The gorgeous lines and simple details of this cake remind me of why art deco is always a glamorous go-to for wedding day inspiration. 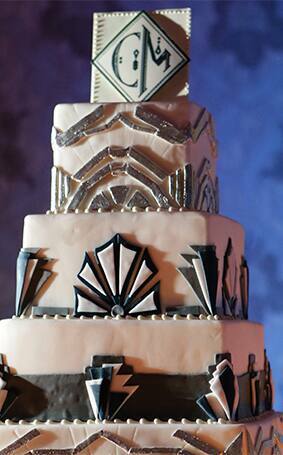 Now who is up for a roaring party to celebrate a happily ever after?